The Antlers Inn invites you to experience the conveniences expected in the modern day combined with the allure of history. We are located at the junction of the Llano and Colorado Rivers, on Lake LBJ, in Kingsland, Texas. While enjoying your stay with us, stroll amongst our spacious lawns, reflective gardens, and shady wooded areas. Antlers Lake LBJ Park, along the water frontage of Lake LBJ, includes picnic tables, a dock for fishing and canoe launching, or open areas for relaxing. Three different styles of accommodations are here for your choosing. Traditional hotel rooms with private baths, one or two room cabins and cottages, or train cars fully updated to accommodate overnight stays. 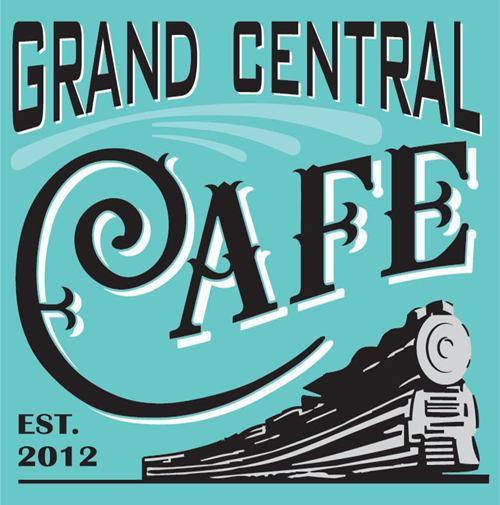 Guests will enjoy dining at our restaurant, Grand Central Café, for breakfast, lunch, or dinner, and cocktails at the Club Car Bar next to the restaurant. The Antlers Hotel is a Texas Historic Landmark Hotel and is on the National Register of Historic Places. The railroad opened the Antlers Hotel in 1901 for tourists arriving by train. 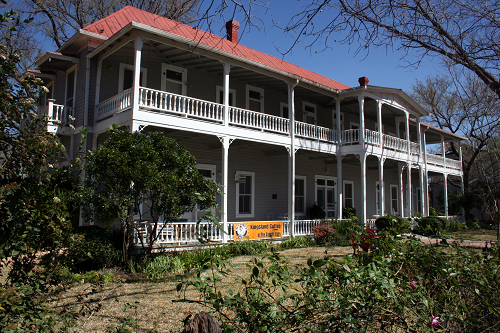 This stately two-story building surrounded by porches is an elegant choice for visitors to Kingsland and the Texas Hill Country. The original hotel offered luxury by the rivers, and we are proud to continue that tradition today.